In a rather unexpected move, Dutch bank ABN Amro is tackling the mobile payment space from a different angle. The financial institution will make use of WhatsApp to let users request payments. Doing so will provide a link between WhatsApp contact lists and customer mobile payments app. Most financial institutions would rely on their own standard mobile banking app to let customers send and receive money. But ABN Amro is wired differently, albeit they have launched their new mobile app called Tikkie. What this particular solution does is allow users to select a WhatsApp contact to make a payment request. To ensure this service can be received by non-ABN Amro customers,, the payment link will redirect to iDEAL. This is a popular form of payment in The Netherlands, as also comes in the form of a mobile application. All of the funds transferred through this payment request will be credited to the Tikkie user’s bank account. Considering how WhatsApp is quickly becoming one of the most popular social messaging platform sin the world, it makes a lot of sense for ABN Amro to hook into their API. Moreover, customers often go out shopping or have fun with friends and family, most of whom will be using WhatsApp as well. Requesting payments for split bills or other reasons becomes a lot more convenient this way. Additionally, using this method will make it easier for ABN Amro customers to ensure they get repaid with relative ease. In the real world, it can be challenging to ask people to repay you. Since every aspect of finance is being digitized, Tikkie is an interesting solution that combines the best of both worlds. Plus, WhatsApp offers end-to-end encryption, creating a secure environment to boot. 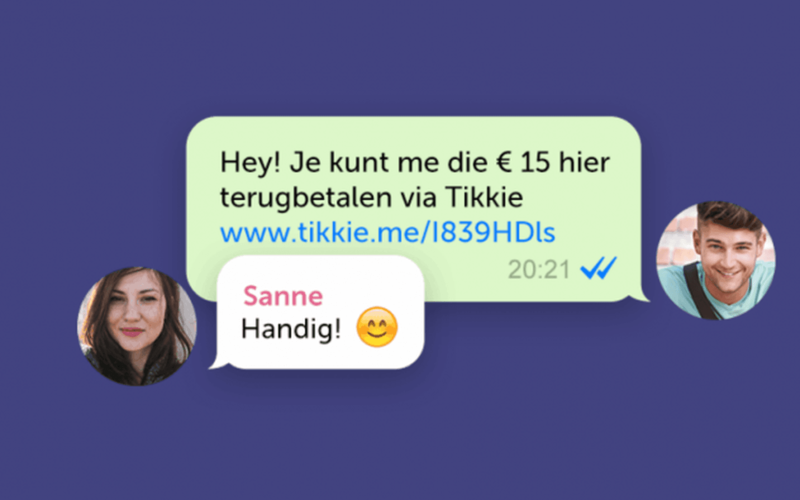 ABN Amro will continue to focus on financial services through instant messaging services. Whether that means they will focus on Telegram in the future, remains to be seen. For the time being, Telegram users can enjoy some of the Bitcoin and cryptocurrency chatbots at their disposal to send money around the world with no friction.